News of Dr. Gushee’s Changing Our Mind has appeared in newspapers and online news magazines nationwide, including the Wall Street Journal, the Washington Post, the Orlando Sentinel, Huffington Post, Religion News Service and Patheos. The news of Dr. Gushee’s landmark book broke in late October 2014 just as the book was first arriving for sale via online bookstores. The first journalist to publish the news was Jonathan Merritt of Religion News Service. His report moved across the RNS wire and appeared in countless news publications, including The Washington Post. Now, many other reporters and columnists are filing their own reports (and discovering that such stories draw huge reader interest). Patheos‘s popular “Slacktivist” columnist Fred Clark filed a column headlined “This Is a Big Deal“—and rapidly drew more than 300 comments. Have you seen a headline we should share with readers? Email ReadTheSpirit@gmail.com and alert us. We plan to continually update this list of significant headlines. Are you a reporter or columnist wanting press materials? We’ve posted helpful resources right here, including the press release for Dr. Gushee’s book, which has contact information for his media representative, Susan Stitt of Morgan Street Media. STAY TUNED! 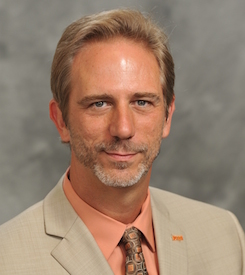 Coming soon, the Voice of America network will feature an interview with Dr. Gushee and an upcoming issue of Sojourners Magazine will include an excerpt from Changing Our Mind.